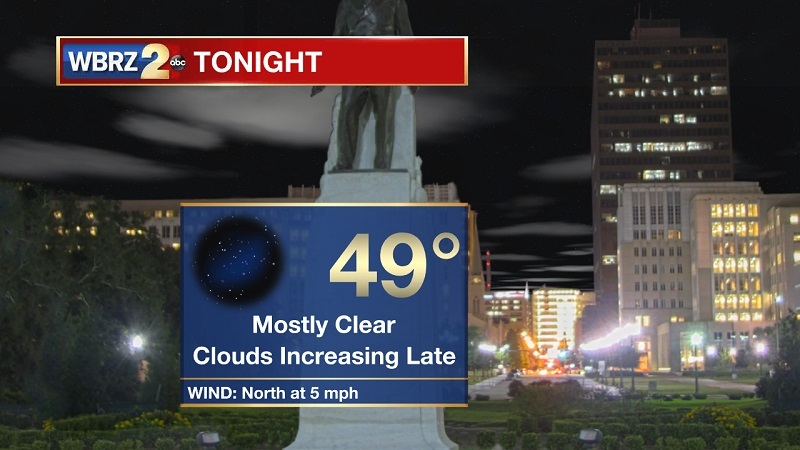 Tonight and Tomorrow: Mostly clear skies and drier air will allow temperatures to drop back into the upper 40s late tonight and into Monday morning. The lower dew points will bring much cooler temperatures into the region on Monday, as highs will be about 12 degrees cooler than what we experienced over the weekend. High pressure will also approach as we near the noon hour, which will break up the little bit of morning cloud cover and produce sunny skies through the rest of your Monday. Winds will be picking up between 5 and 10 mph out of the north, which will set up a cooler night on Monday that will linger into the beginning part of the workweek. Up Next: A high pressure system that extends from Canada to the Gulf Coast will keep skies sunny and temperatures chilly through Thursday morning. Low temperatures will be in the mid-30s Tuesday and Wednesday night. Our next weather maker will be approaching late Friday and Saturday, with heavy rainfall expected with this system. The cold front that pushed across our region early Saturday morning is still stalled offshore, extending through Northern Florida and along the Carolina Coast. It will try to push inland over the extreme southeast of Louisiana, but the incoming high pressure from the northwest will keep skies relatively clear and conditions dry early Monday. 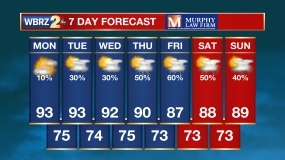 High pressure will then dominate the weather pattern through the majority of the workweek, providing abundant sunshine and cooler temperatures. Lows will be approaching freezing Tuesday night, before slowly increasing through the rest of the week. 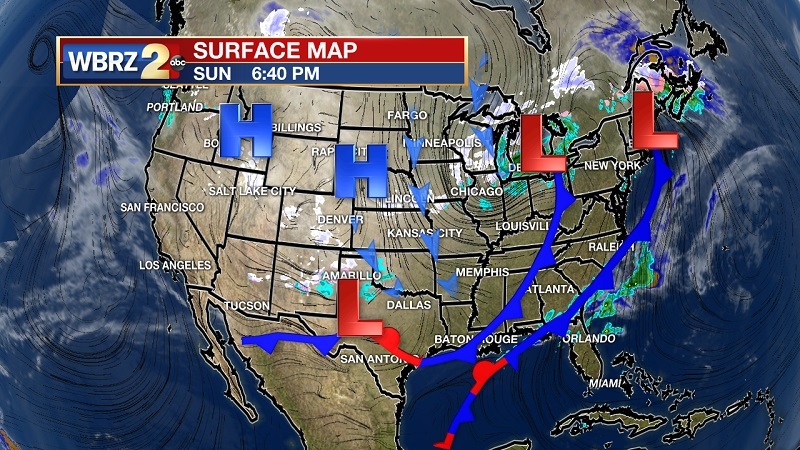 A strong low pressure system will begin developing over Southern California on Thursday, and push east through the southwest US into Friday morning. This system will move into Texas and pull another low pressure system from the Gulf along the Louisiana Coast late Friday. Widespread showers will initiate around 6 PM Friday and continue through Saturday as the system moves west-to-east across the Gulf States. At this time, there is not much instability with this system, but significant moisture is present. Thunderstorms should stay isolated, but the heavy rainfall could be a concern for flooding on Saturday. This system is moving quickly, so the flooding threat should stay confined to flood-prone areas. The front departs late Saturday, as drier and cooler conditions return on Sunday.